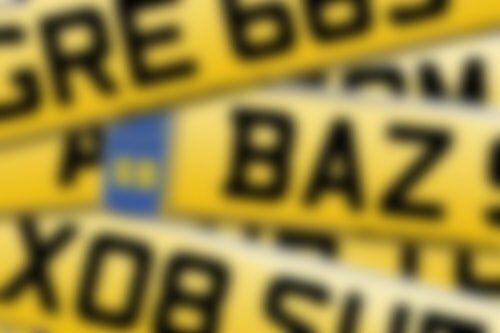 Millennium registrations are also known as current or new style registrations and are the number plate system currently in use in the UK, introduced in 2001. Search New Style registrations - pick two letters, a number and three more letters. Millennium registrations can be slightly more complex to decipher than other types of registration, but contain more information about the registration. The first part of a millennium registration contains information on the issuing town - each two letter combination relates to an area in the UK - for instance the combination NX covers vehicles registered in the North, specifically under what was the governance of Stockton DVLA office. SA is a Scottish registration from the Glasgow region, and LO is a London registration from the Stanmore office. Following the two-letter combination comes a two-digit year identifier. The essential difference between prefix, suffix and millennium year identifiers, is that the year identifier on a millennium plate is a number, not a single letter, and that there are two millennium releases each year. The dating of the millennium system began with 51 (the 5 denoting a release in the second half of the year, the 1 identifying the year itself - 2001) continued with 02 (the 0 indicating the first half of the year, the 2 the year 2002), and proceeds from there. Following the town and year identifiers come three more letters, which are simply random and have no significant meaning.